Add the ultimate finishing touch to a glamorous look with the Lotus Chandra handbag. 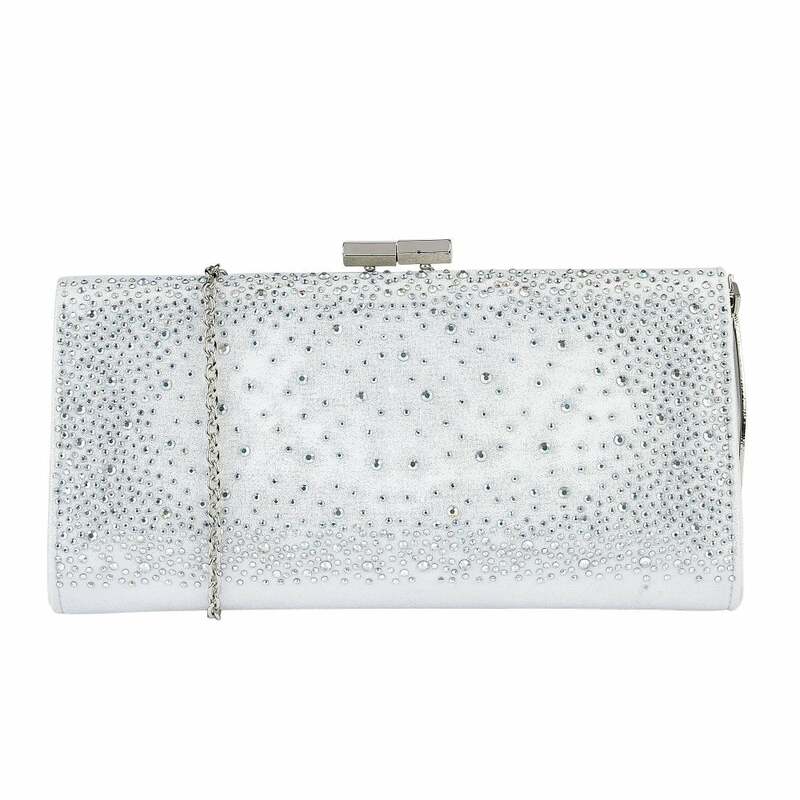 This stunning Lotus clutch bag is encrusted with a flurry of diamantes that beautifully sparkle when the light catches them. This ice white Lotus handbag also boasts a detachable chain strap so that you can wear it over your shoulder when you need to be hands free and a clasp fastening to help keep your possessions safe.